Do you have a compact or portable drum kit? 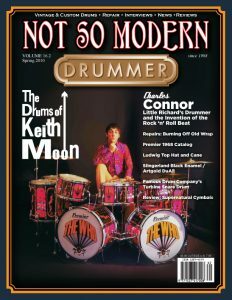 Would you like to write a review for CompactDrums.com? If so, send an email to compactdrums@gmail.com or submit the form on our Contact page. Please note this review is a work in progress! 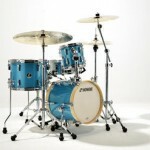 vein – the Sonor Jungle Kit and the Sonor Martini drum set. 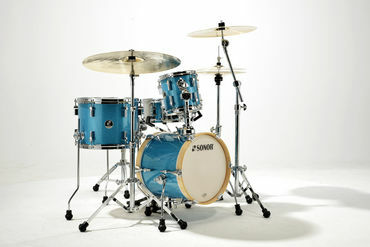 The Sonor Martini drum set solves the issue of portability by reducing the overall size of the drum set. The specifications of the drums in the set include a 14×12 bass drum, 8×8 mounted tom, 13×10 floor tom, and 12×5 steel snare drum. Yes, you read it right!There is a 14×12 bass drum. The shells are a poplar wood shell. The bass drum features wood hoops. The bass drum tom mount is of a metal chrome material. When I ordered these drums I was very surprised at the fact that all of the drums came in one package. I found the assembly of the drums to be very easy. The drum set did not come with any snare drum stand or cymbal stands – they have to be purchased separately. All of the drums came equipped with heads. The drums tuned up nice and had a very good sound with some tuning. The problem with smaller bass drums is that they have very little low end the smaller you go. It may take a different bass drum head choice to find the desired sound you want. Both the mounted and floor toms had very focused, sharp attack. The snare drum had a very crisp attack with a little bit of tuning. Overall, the drums had a very good sound. When I set these drums up to adjust them, I was very surprised at how high the bass drum tom mount went up. Depending on how tall you are, the bass drum mount can be adjusted to suit a variety of heights. One of the strongest qualities of the bass drum was that it had a very good bass drum lifter. The bass drum lifter can be easily adjusted and should be able to fit any and all bass drum pedals. 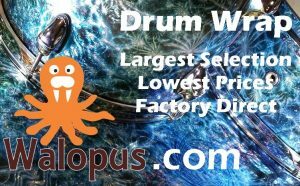 These drums are very good quality and are an excellent buy for anybody looking for a compact, affordable kit. The only real drawback is that the bass drum may not have enough low end. But that is to be expected from a small kick drum.